Jerusalem, Israel—January 7, 2019. ProQuest® and Ex Libris®, a ProQuest company, are expanding their commitment to their Latin American customers and users, opening three new offices in the region and hiring additional local staff. Grupo Sistemas Logicos, a distributor that has represented Ex Libris in the region, will join the ProQuest family. These investments will enable ProQuest and Ex Libris to work directly with libraries, ensuring high quality service and a smooth transition from working through distributors. We’re building on our decades of partnership with Latin American libraries, ensuring that as their needs for ProQuest and Ex Libris resources grow, they’re able to get the best and fastest service. Under the leadership of Boe Horton, ProQuest Sales Vice President, offices will open in Chile, Colombia and Mexico, adding to the current office in Brazil. 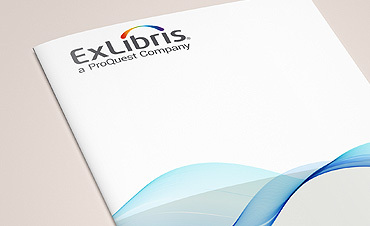 Existing and new customers will be served by local ProQuest and Ex Libris staff, providing customers with a direct connection for product knowledge, service, training and to provide feedback on products used in the region. The local team will service both ProQuest and Ex Libris product portfolios, eliminating multiple points of contact and ensuring a smoother acquisition workflow for libraries. A small number of distributors will continue to help with selected product lines and market segments. However, most products and services that libraries licensed from distributors – resources such as ProQuest Central, Academic Complete, ProQuest Dissertations & Theses Global, ABI/INFORM Collection, SciTech Premium Collection, and Literature Online, as well as Ex Libris Alma, Primo, Summon, Leganto, RefWorks, Pivot, 360Link and Pivot – will now be sold and serviced directly by the ProQuest/Ex Libris staff in the region. ProQuest/Ex Libris is hiring experienced staff with existing relationships with the region’s librarians, ensuring a smooth transition and knowledgeable service for customers. Read more about ProQuest’s growing commitment to Latin America in this blog. ProQuest is committed to supporting the important work happening in the world’s research and learning communities. The company curates content that matters to the advancement of knowledge, assembling an archive of billions of vetted, indexed documents and multi-media assets. It simplifies workflows so that people and institutions use time effectively. 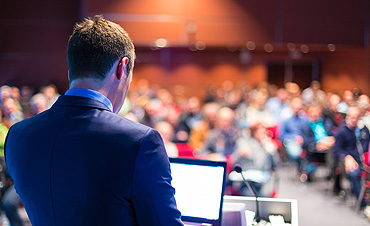 ProQuest connects information communities, empowering complex networks of systems and processes to work together efficiently. With ProQuest, finding answers and deriving insights is straightforward and leads to extraordinary outcomes.